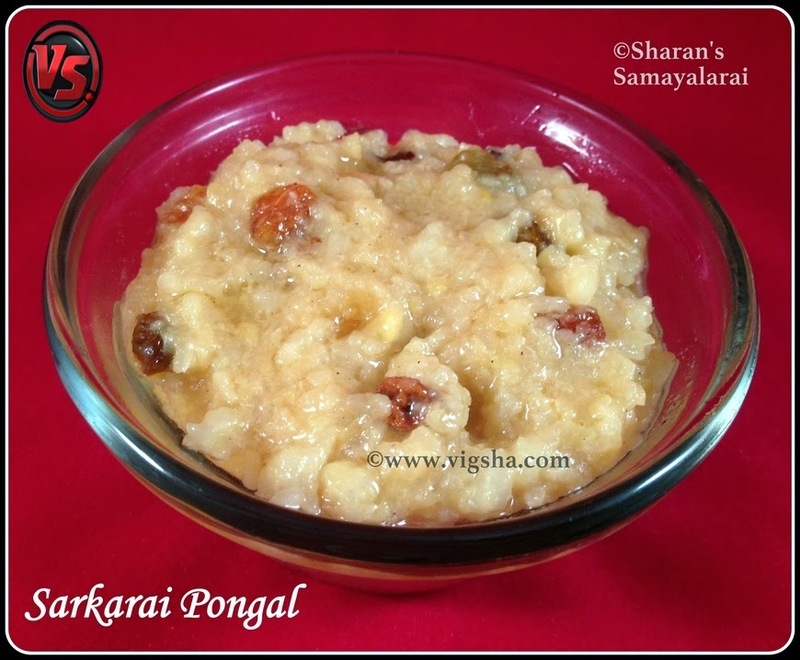 Sarkarai pongal (Sweet rice pudding) is a very famous festive preparation. I am always a big fan of this delicious pongal, I am sure everyone will love this. I made this during Navaratri celebrations. 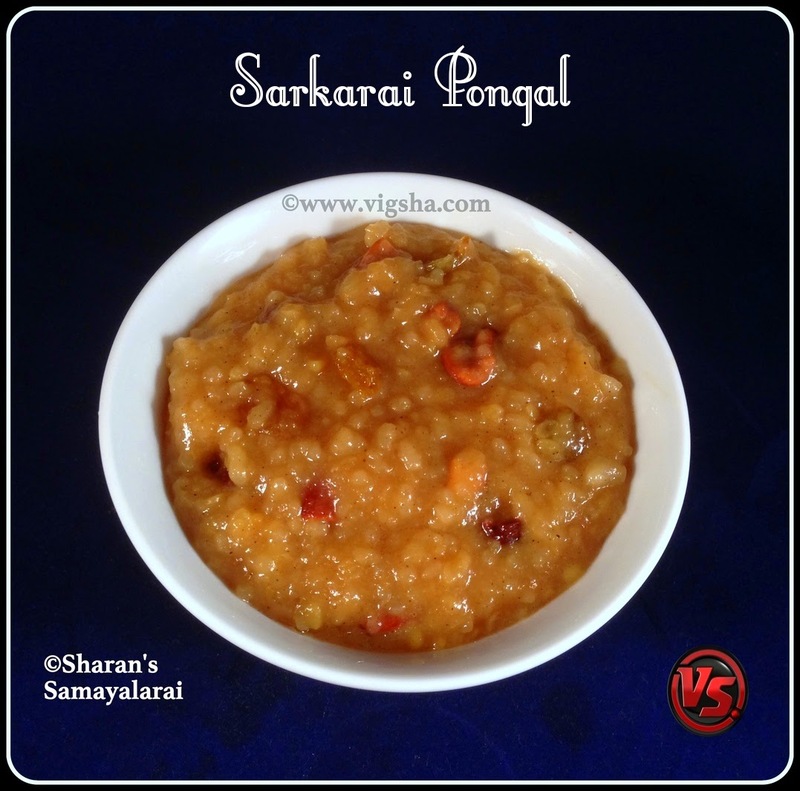 Here comes my mom's Sarkarai pongal version, which is very simple and quick to make. 1). Wash dal and rice together. Pressure cook dal and rice with water/milk* for 3whistles in a medium flame. 2). Let the pressure go by itself. Check the rice and dal are cooked to softness, mush it up with a spoon. Then, add Jaggery, ghee and combine well. 3). Now add cardamom powder, ghee roasted raisins & cashews. Give a quick stir so that all flavors gets united and switch off. Add ghee over the finished pongal for more taste and serve hot or warm !! #* Quantity of milk totally depends on your convenience. Instead of water you can fully use milk or you can just use 1cup of milk or avoid milk totally. Adding more milk enhances the flavor. # To add flavor, before cooking dry roast moong dhal in ½ tsp until nice aroma rises. # Switch it off in semi running consistency as it tends to get thicker after cooling down. # If your rice is new and gets cooked easily, 4cups of water/milk is enough. # After opening the cooker, if the rice is too dry, add ¼ cup water or milk while mashing. Super delicious sweet pongal,just love it.